Sooo this may be something some people have already thought of, but I feel like a genius if I do say so myself! 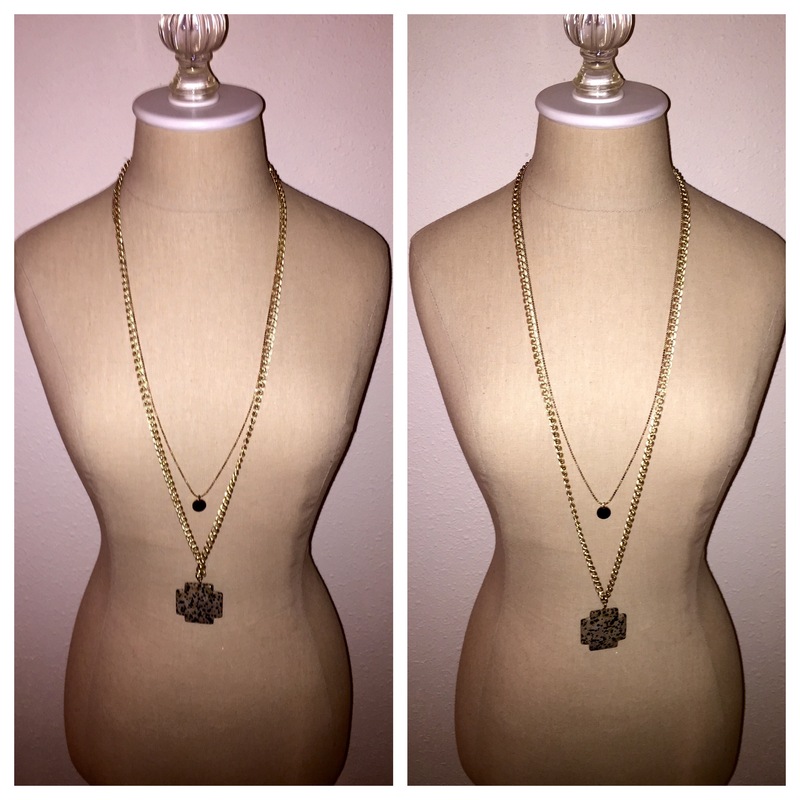 I don’t know about ya’ll but I am SUPER weird about necklace lengths. Maybe it’s just my ridiculous compulsiveness but I hate when they aren’t hitting me in the exact spot I want, and I HATE too short of necklaces. Call me crazy but whatever, I swear it can play a role in how good or not good your outfit looks! Getting to the point, all you need here is a ….. SAFETY PIN. 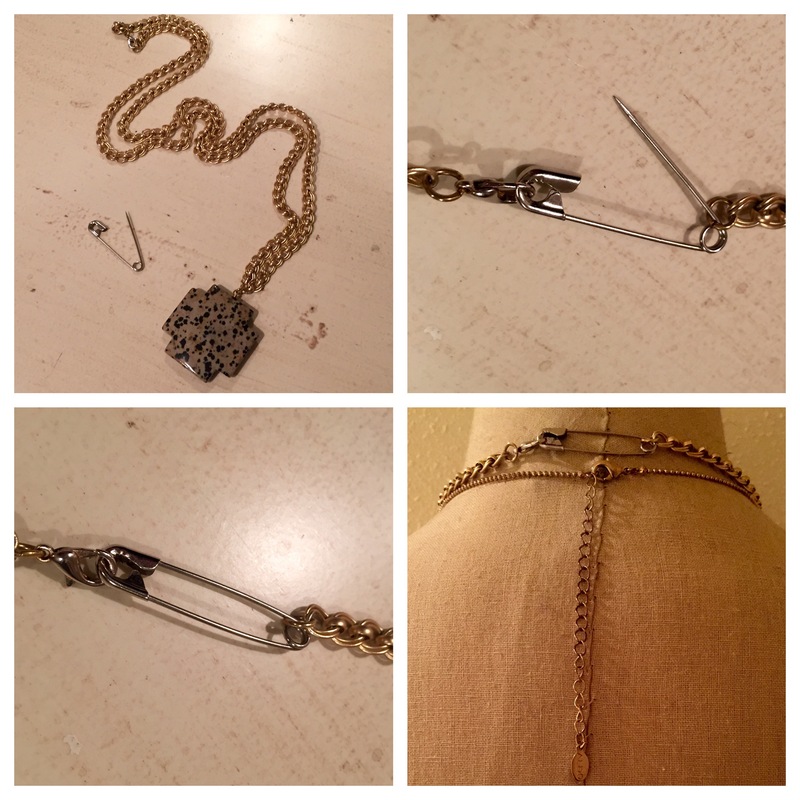 Wait for ittttttt… Basically you just put one end through the hole and clasp the other end on the other side, making the necklace longer, you can either use a big safety pin or small depending on how much length you need! Pics below!